Decode Digital Audio and Convert to Analogue with Ease! The majority of Digital to Analog Audio Converters available on the market only accept LPCM (uncompressed audio) input. 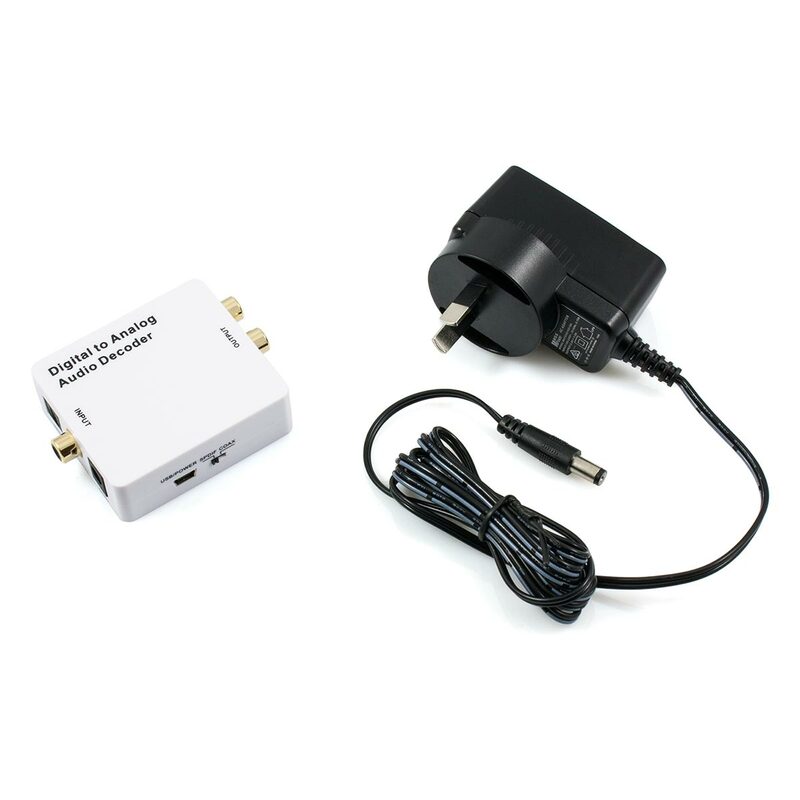 However, many TV's do not offer the ability to output in this format when viewing certain HD channels, which means that this type of converter would be rendered ineffective in this scenario. 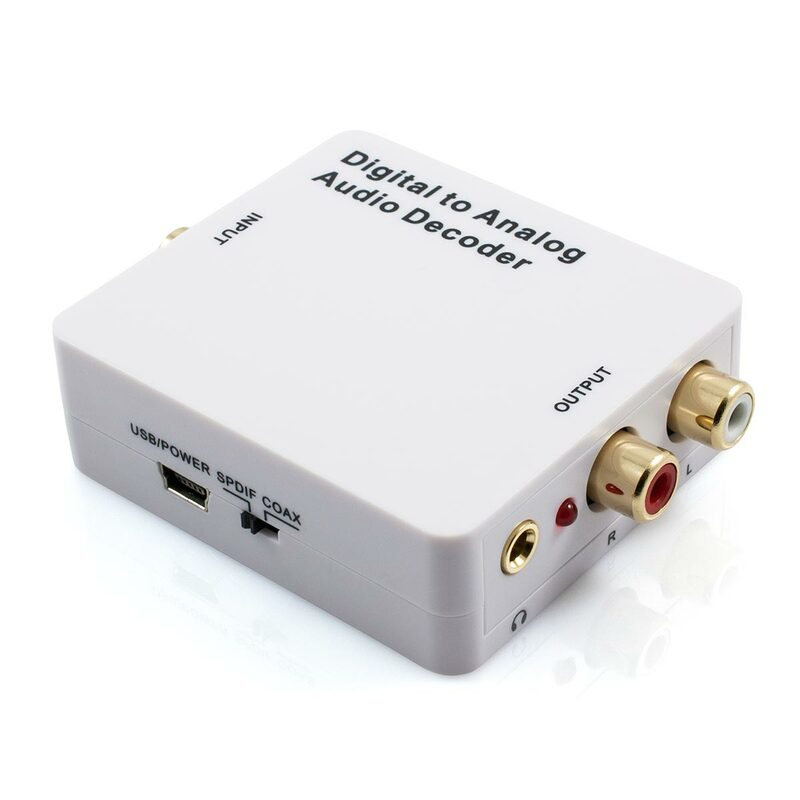 This marvellous piece of technology features an onboard digital audio decoder to ensure comprehensive compatibility with any TV and many other source devices that feature a digital audio output (S/PDIF) connection. 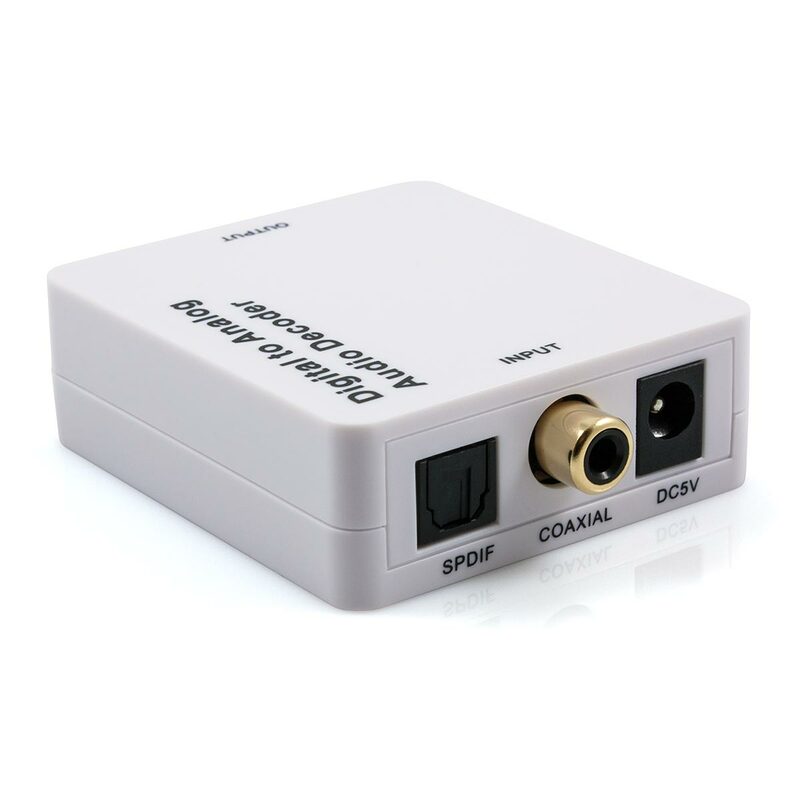 This compact Digital to Analog Audio Decoder can accept Dolby Digital (AC3), DTS or LPCM audio signals from the selectable optical or digital coaxial input. This unit supports multi channel surround sound (up to 5.1 channels) or 2.0 channel digital audio. The integrated 24-bit DSP supports frequencies of up to 96kHz to preserve the highest quality of sound. The decoded audio will be converted to analogue and output via both the left and right RCA and 3.5mm stereo connections simultaneously. Recently I purchased a decoder for my Panasonic Viera TV which didn't come with an Earphone jack. Thank you Space Hi Fi for a pleasant shopping experience. Works fine, quick delivery, very satisfied with product and service. Absolutely does what it says. I wanted to drive two sets of cordless headphones from an optical output from my TV. I had been running the optical input to an AV surround amp and that all worked but I really didn't need the amp (speakers) any more. 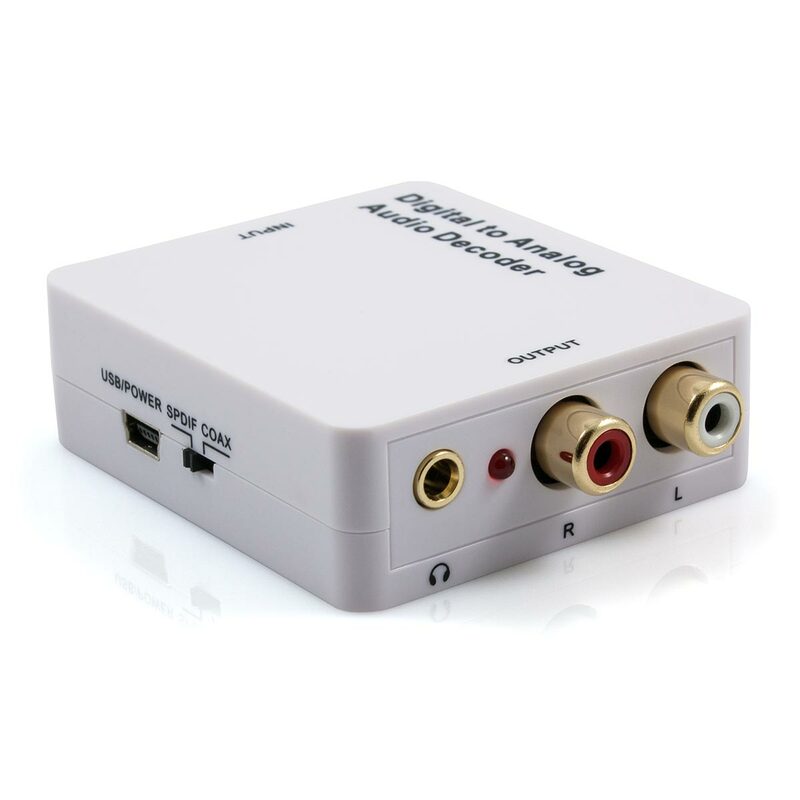 I found plenty of cheap ($30) devices on the web that would convert optical (toslink) to line level (RCA) and 3.5mm stereo jack but none of them would handle compressed (Dolby) audio (which is all my TV outputs) - this device does and works a treat. Highly recommend this product to anyone who needs to drive some headphones (or other audio devices) from an optical output.